Who Owns Bratz – Does Assignment of Inventions Cover Ideas? An appellate court ruled that an employee’s agreement to assign “inventions” to Mattel may not cover “ideas” the employee had for the Bratz line of dolls. This ruling may impact many companies ownership of certain rights if their IP or invention assignment agreements are not clear enough. Prior to trial, the district court held that Bryant’s employment agreement assigned his ideas to Mattel, and so instructed the jury. What was left for the jury to decide was which ideas Bryant came up with during his time with Mattel. It found that Bryant thought of the names “Bratz” and “Jade” while he was employed by Mattel, and that MGA committed several state law violations by interfering with Bryant’s agreement as well as aiding and abetting its breach. 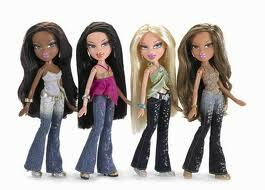 After trial, the district court imposed a constructive trust over all Bratz-related trademarks…. A constructive trust would be appropriate only if Bryant assigned his ideas for “Bratz” and “Jade” to Mattel in the first place. Whether he did turns on the interpretation of Bryant’s 1999 employment agreement, which provides: “I agree to communicate to the Company as promptly and fully as practicable all inventions (as defined below) conceived or reduced to practice by me (alone or jointly by others) at any time during my employment by the Company. I hereby assign to the Company . . . all my right, title and interest in such inventions, and all my right, title and interest in any patents, copyrights, patent applications or copyright applications based thereon.” (Emphasis added.) The contract specifies that “the term ‘inventions’ includes, but is not limited to, all discoveries, improvements, processes, developments, designs, know-how, data computer programs and formulae, whether patentable or unpatentable.” The district court held that the agreement assigned Bryant’s ideas to Mattel, even though ideas weren’t included on that list or mentioned anywhere else in the contract. Mattel points out that the list of examples of what constitutes an invention is illustrative rather than exclusive. Ideas, however, are markedly different from most of the listed examples. Cf. People ex rel. Lungren v. Superior Ct., 926 P.2d 1042, 1057 (Cal. 1996) (courts avoid constructions that would make “a particular item in a series . . . markedly dissimilar to other items on the same list”). Designs, processes, computer programs and formulae are concrete, unlike ideas, which are ephemeral and often reflect bursts of inspiration that exist only in the mind. On the other hand, the agreement also lists less tangible inventions such as “know-how” and “discoveries.” And Bryant may have conveyed rights in innovations that were not embodied in a tangible form by assigning inventions he “conceived” as well as those he reduced to practice. As a result the court concluded that the agreement could be interpreted to cover ideas, but the text doesn’t compel that reading and that therefore the district court thus erred in holding that the agreement, by its terms, clearly covered ideas. This case will get sent back to the District Court for further determination. However, regardless of the result, it may be a good “idea” to consult with an IP attorney to make sure that your IP assignment agreements give you the maximum benefit and ownership of all rights that you want to own.